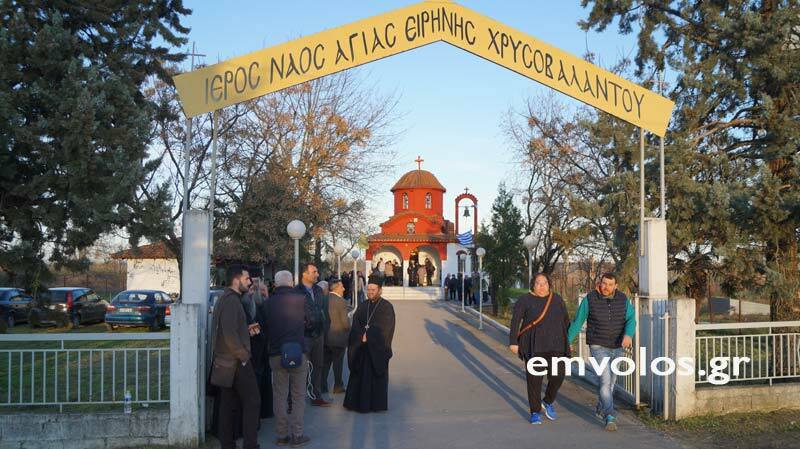 Since the Sunday of the Veneration of the Cross on 11 March 2018, in the village of Schinas in Imathia [located in Central Macedonia, Greece], a miraculous event is taking place. At about 11:00 midday, the "ordinary lamplighter", a gentleman from the neighborhood, lit the lamps of the tiny chapel, which is located to the north of the Chapel of the Venerable Irene Chrysovalantou. In the afternoon, three ladies went to chant the Supplications to Saint Irene, and a fragrance struck them like a wave which brought them behind the sanctuary, where the scent was stronger and lingered longer. These three ladies notified their friends at Saint Alexander of Alexandreia, and at around 7:00 in the evening the parish priest of Saint Alexander came, along with a warden and two ladies of Philoptochos, who, upon entering the courtyard to the west of the church, were "drowned" in a wonderful fragrance like a rose that continued behind the sanctuary of the church. The warden of the Bishop of Alexandreia as well as the parish priest of the village were notified, and then His Eminence Metropolitan Panteleimon of Beroia, Naoussa and Campania was invited and arrived, and he spoke about this divine event. From then on, dozens and hundreds of the faithful people have come, while the Divine Services have virtually been going on around the clock. A miraculous scent, like rosewater, comes forth like waves upon waves, and it brings gladness to the physical and spiritual senses of the faithful. 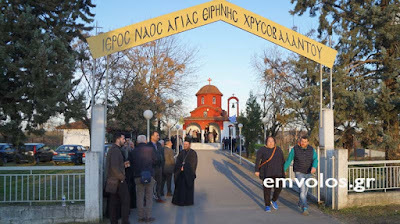 With the blessing of this miraculous event, many have mentioned earlier appearances of a woman dressed in black who says she is Saint Irene Chrysovalantou, whom some see walking in the courtyard, while others observe her lighting the lamps of the church. 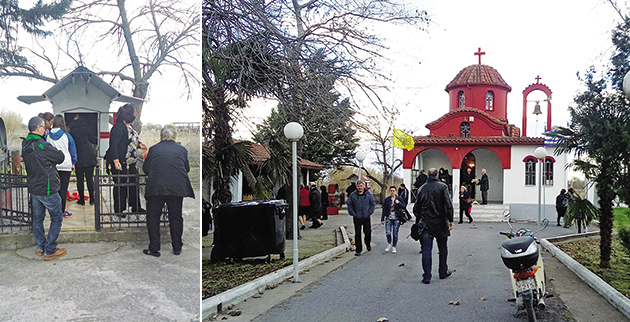 From a historical point of view, in around 1976, the then priest built a tiny chapel upon her request, while in 1986 the small church of the Venerable Irene Chrysovalantou was built. 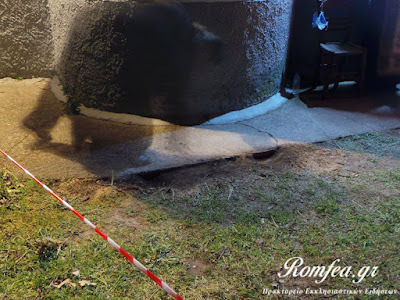 The column from where the fragrance emerges. Next to the tiny chapel a column of the Public Power Corporation was set up, which fell when it was struck by a car, though neither the driver nor the occupants were harmed. The faithful approach the Saint with much reverence, though there are also those who question this miraculous event. In such cases, the ascetic phrase is applied: "Do not accept and do not reject." Everyone is waiting to know how long this fragrance will continue, and many are trying to interpret the event. Saint Irene is making her presence known by this event, in a critical time for our land.